Proof that the beach is always a good idea, even in the middle of winter! 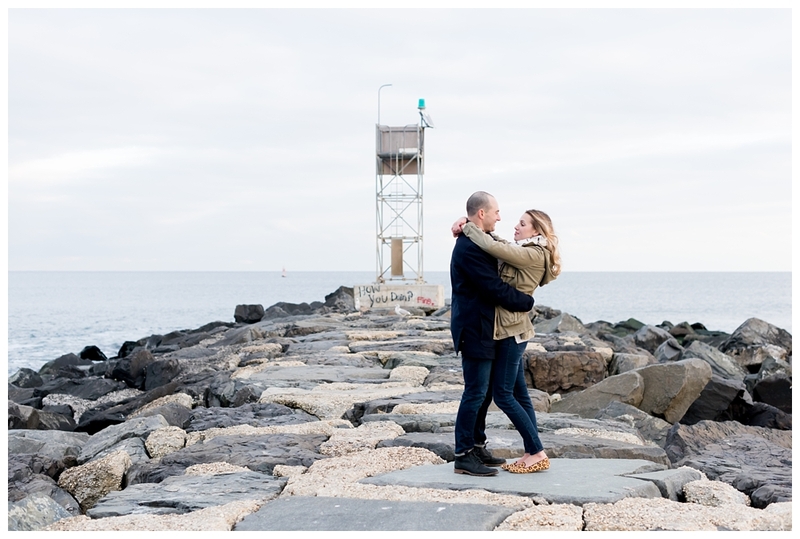 Molly + Nick's engagement session from Jackie Averill Photography is absolute perfection. 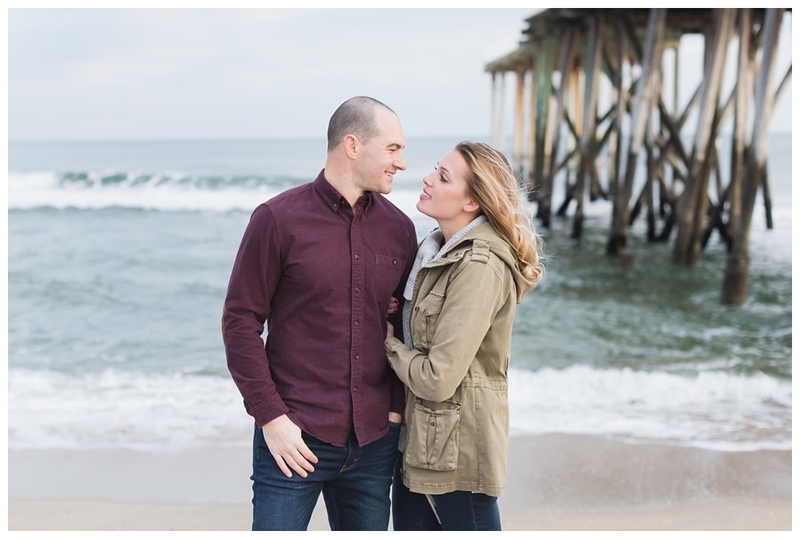 Despite the cold, these two were all smiles, and clearly in love. 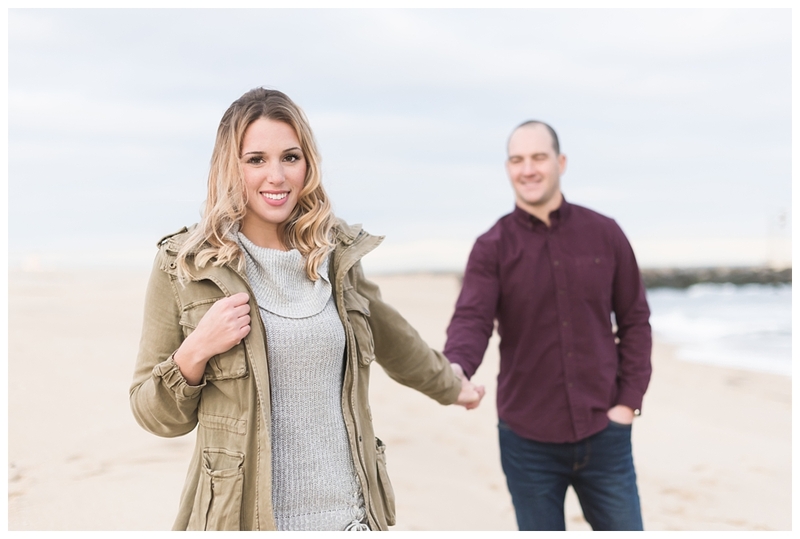 With photos this beautiful, we can't wait to how beautiful their wedding is this fall. 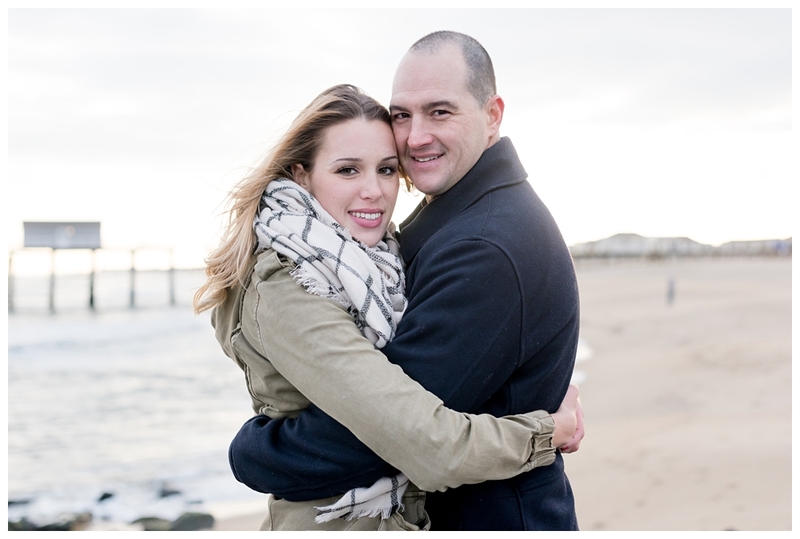 From Jackie: The cold weather didn't stop Molly and Nick from warming up on their winter beach engagement shoot! They will be getting married 9/15/17 at The Reeds at Shelter Haven. How did you meet? We met on Tinder! I hate saying that haha, but our story goes a little like this...Molly's friend dared her to go on Tinder for 7 days. Molly was always against Tinder and never used it even when it first came out and was somewhat popular. Nick swiped right around day 6. Molly went on her first and ONLY tinder date and the rest was history! How did Nick propose? He took me to our future new home (which is now officially our new home - yay!) He told me the plumber was coming, so I had to leave work early and meet him around 3pm. I walked into our living room and saw rose petals leading to Nick where he stood and wrote out with the petals 'will you marry me' - he got down on one knee, I said yes and then we popped some bubbly! What’s the most important thing you’re looking forward to about getting married? Officially starting our lives together - being able to be surrounded by all of our friends and family on the biggest day of our lives... celebrating and keeping the party going for as long as we can that evening! What do you love most about each other? Molly: I love that Nick is really a big softy at heart even though most know him as a tough guy. I'm the only one that gets to experience the other side of him, which is surprisingly very romantic. He is extremely passionate about everything he does. He always has my best interest at heart and I know it will remain like that forever. Nick: And one day, #alongcameMolly (shameless plug). There are many things to admire about Molly, she is passionate about everything she does, she is an extreme loyalist to all of her friends and her family (also, don't dare talk poorly of our French Bulldogs). She wears her heart on her sleeve, is not afraid to express her love, and most importantly, she is the glue that keeps me put together.